Todays post is going to be a small DM haul. I have 2 blogs. They both are beautyandbrains007 blogs but one is in English, and the other one (beautyandbrains007hr) is in Croatian. So, for my Croatian readers I did a post on DM's coupon booklet which you get if you exchange it for 50 points. I am not going to go into details, but I exchanged my 50 points for coupons valid through may and june. And...this is what I bought. As you can see, I didn't go crazy. 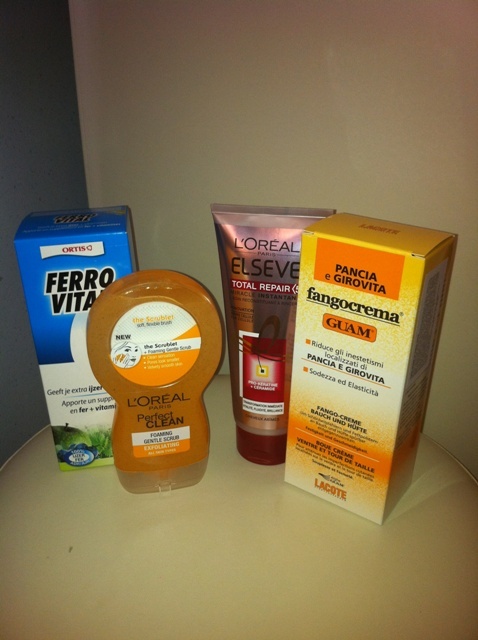 As I said many times before I like to use up products that I buy. I do have a lot of makeup compared to usual makeup bags that women have but I try to control my obsession and not to overdo as much as I can. I also organize it well, so I can see what I have and use everything. All the things I purchased, I needed. Sort of... I purchased liquid iron because I need a bit more iron in my blood but it wasn't really doctor's orders. Its normal price is 99,90 kunas (about 10 GBP, $18, 13 Euros and I got it for 25% less = 74,92 kunas (about 7.5 GBP, $13.5, 9.7 Euros). For my opinion about it, click here. 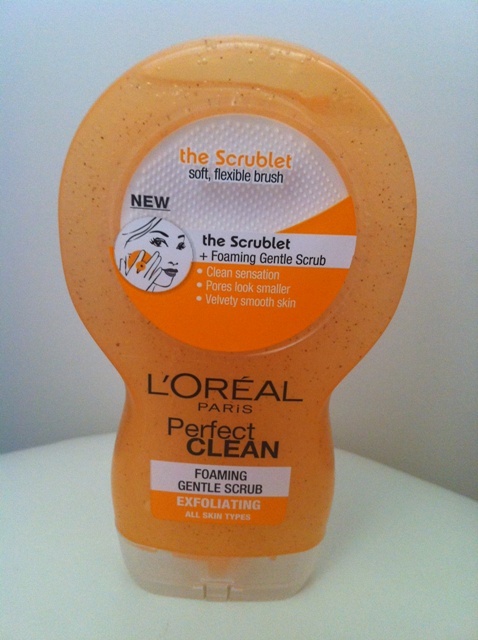 L'OREAL PARIS Perfect Clean Foaming Gentle Scrub. I wanted to try this one. Never had it before and I liked their cleansing gel from the same line with a rubbery brush (I had the blue one). I am low on face scrub so this was the right time to check it out. Got 25% off from the original price which is 39,90 kunas (about 4 GBP, $7.50, 5 Euros). I paid 29,92 kunas (about 3.80 GBP, $5.25, 3.50 Euros). If you want to read how I like this product click here for my review of it. 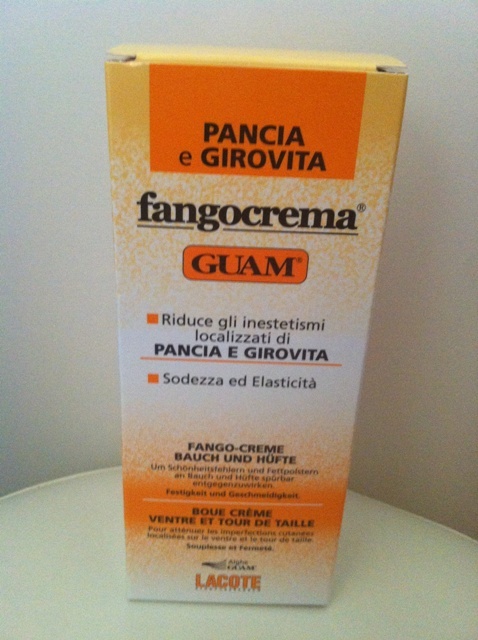 LACOTE , GUAM FANGOCREMA for tummy and waist. I had it before and loved it. Since I have important things coming in my life I decided to test it out one more time. Original price is 114,90 kunas (about 11.50 GBP, 14.50 Euros, $18) and I got 25% off which made it 86,17 kunas (about 8.05 GBP, 10.15 Euros, $12.6). For a review on it, click here. 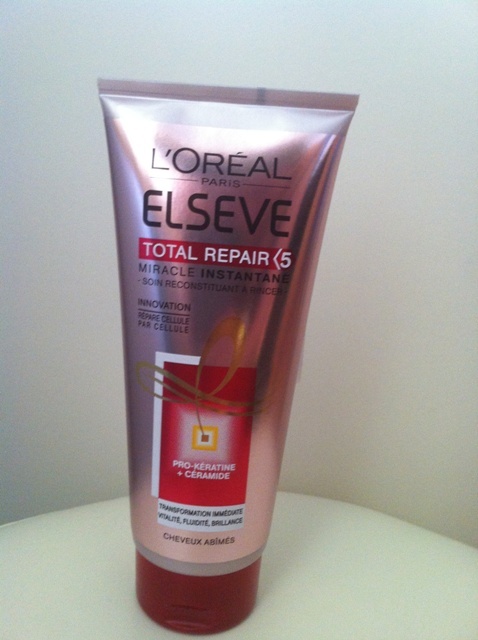 L'OREAL PARIS ELSEVE Total Repair with 5 results. I wasn't sure which one to get but I decided on this pink one. What a shocker ?! This treatment costs 39,90 kunas (about 4 GBP, $7.50, 5 Euros) and I bought it for 50% less. This was the best deal!!! 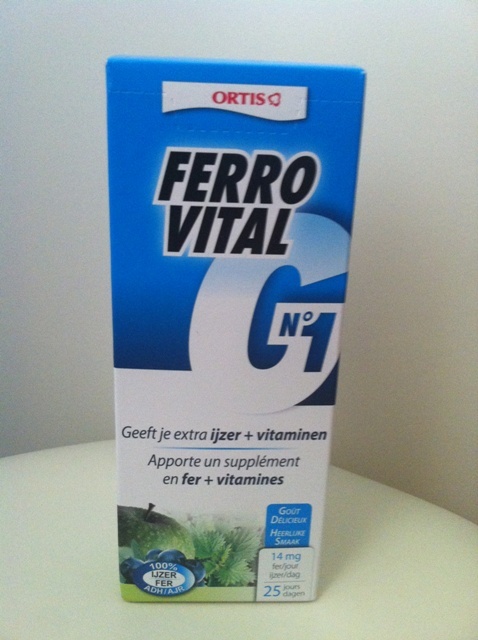 And if you are interested to know more about this product and see how I liked it, click here. You can expect reviews on all of these items. Every item that I bought was kind of expensive. That is why I chose them. I wanted to buy items that I really needed and get them for a good deal. Did you buy something interesting?